2007 was the year when a race between some of the fastest cars in the world was organized by Road & Track Magazine. Invitations for the contest were obtained by Ruf Porsche 911 Twin Turbo, McLaren SLR, Lamborghini Murciellago, Bugatti Veyron 16.4 and the Hennessey performed with the latest edition Venom 1000 Twin Turbo Viper. It was another rivalry amongst the supercars to demonstrate the fastest acceleration from 0 to 200 mph. Lemoore Naval Air Station, California ( a 2.9- mile- long runway) hosted the competition, which crowned the Hennessey Venom 1000 Viper for the fastest performance of the day- acceleration from 0 to 200 mph in just 20.3 seconds. An astonishing achievement! This Road & Track contest was the first time when a Veyron has ever been beaten, although it was only 4 seconds late. The “Speed Kings” award inspired John Hennessey, who started thinking about what can be done to perfect the Venom vehicle. How could this improvement of the car be accomplished? Either by adding a bit more power or by lightening the Viper by 500 lbs. Neither of these options could possibly be executed because of the mere technical impossibility to do that. 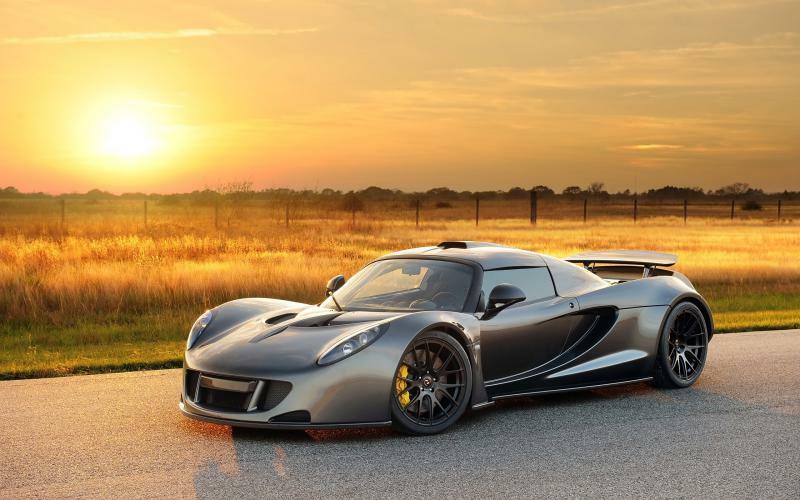 So Hennessey started considering the option to put the Venom 1000 Twin Turbo engine back of Lotus Exige. The detailed renderings of the new vehicle sketch presented the possibility to construct the car with 1000+hp and reduce its weight under 3000 lbs. A design of the engine such as the Ford GT enables the motor weight and the transmission to be handed over the rear tires; this provides the car with a better traction. The ratio of power to weight has been perfected, enabling an amazing acceleration. 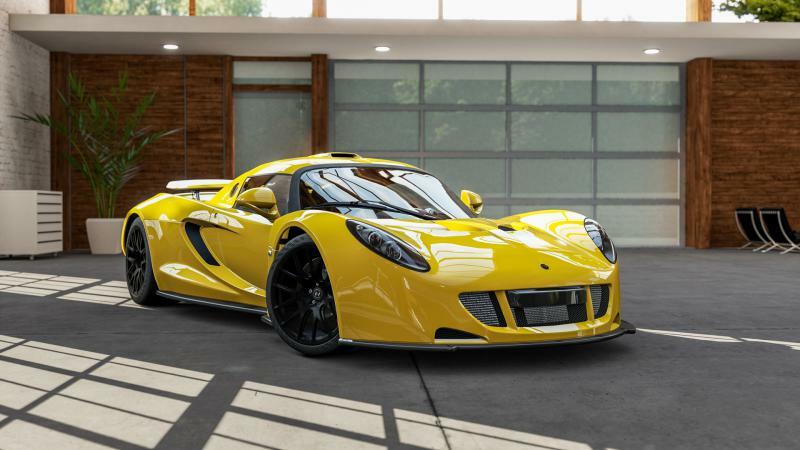 Hennessey Venom GT was ready to race. 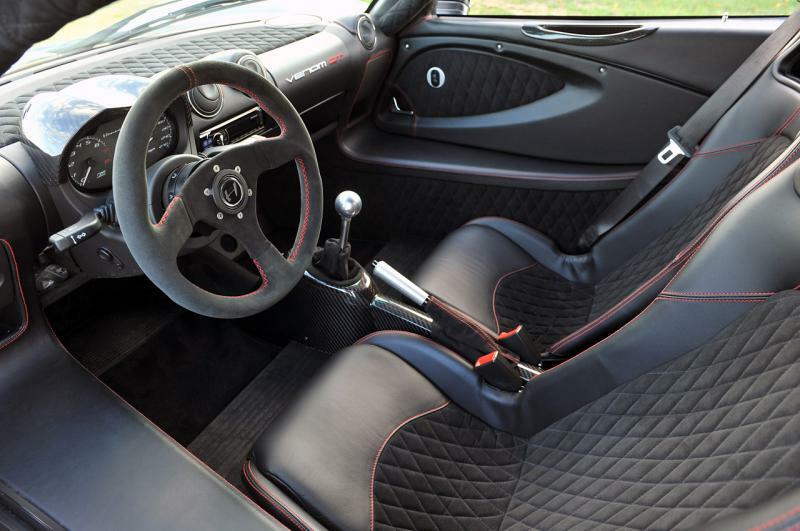 Its design is modeled on the Lotus Elise / Exige and employs components such as roof, cockpit, windscreen, side glass, doors, HVAC system etc. 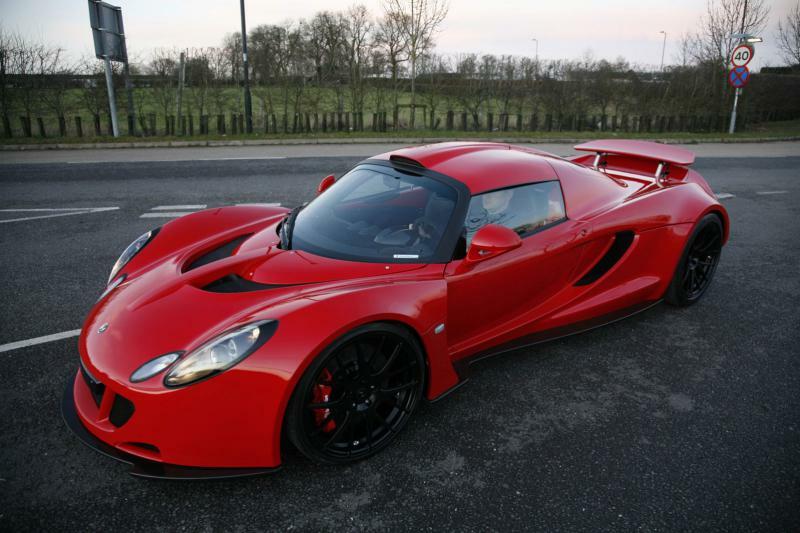 However, Hennessey venom GT is not associated with Lotus. On January 21, 2013, the Venom GT managed to speed up from 0–300 kilometres per hour (0–186 mph) for only 13.63 seconds, and thus setting a Guinness World Record for acceleration. 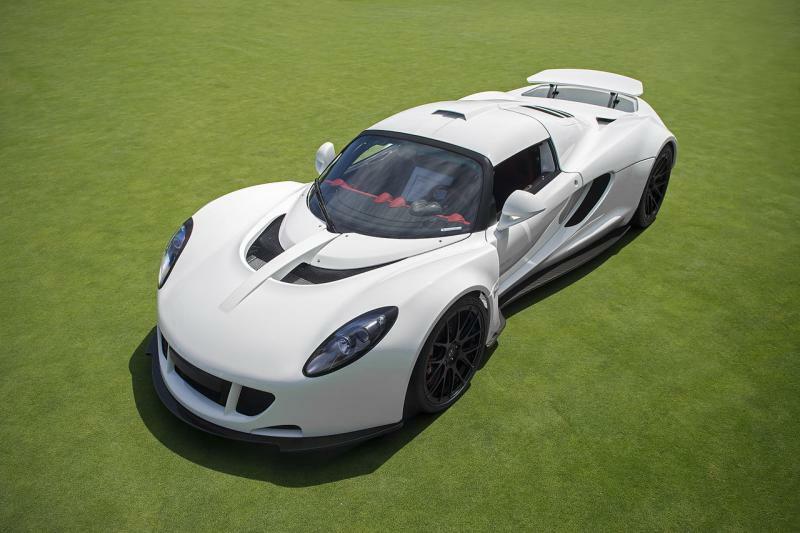 The venom GT also holds the unofficial record for acceleration from 0-200 mph(0–322 km/h) for the time of 14.51 seconds. The other claimant for the record, Koenigsegg Agera R, was beaten having the same acceleration for 17.68 seconds. 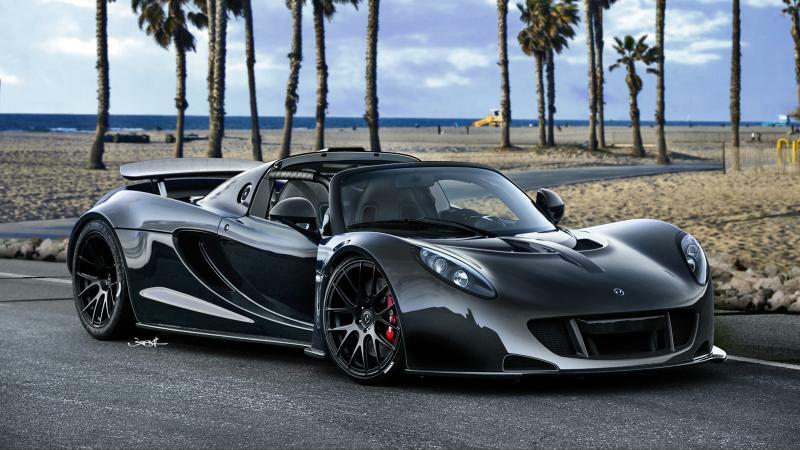 Some two months later, on April 3, 2013, the Hennessy Venom GT reached 265.7 mph (427.6 km/h). the run was held on naval Air station Lemoore, California. Interestingly, the performance was monitored by Vbox officials, who were to certify the authenticity and correctness of the numbers. The next year, on February 14, 2014, there was another testing, which was carried out in Florida, the Kennedy Space Center (3.22-miles or 5.18 km long). 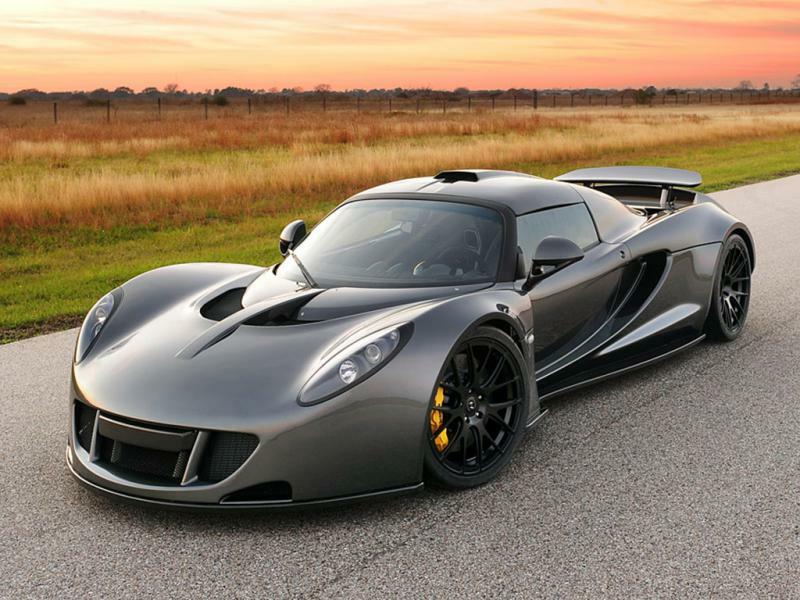 The Hennessey performance recorded the speed of 270.49 mph (435.31 km/h). The supercar was driven by the experienced driver Brian Smith, Director of Miller Motorsport Park. The unprecedented top speed could not be recorded in the Guinness Book because Hennessey should have had 30 cars sold, and it only had 16. The other reason why Guinness did not recognize this speed achievement was that it should have been done in two opposite directions, with the average speed taken into account. The vehicle’s perfection and improvement includes a 6-speed manual transmission and a mid-engine V8, which is mated to the rear wheels. The supercar’s manufacturers challenge the speed of 278 miles per hour (447 km/h), however, it hasn’t been tested yet.